This week we released a special version of the ABCDE e-learning for obstetrics. 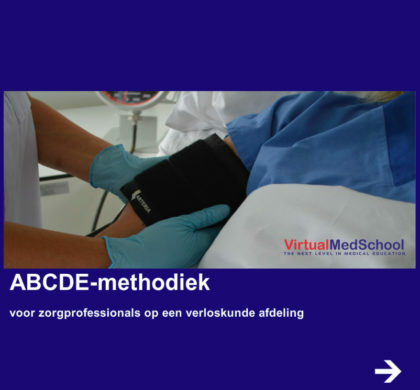 This module is developed in collaboration with the Erasmus MC Health Academy (Zorgacademie) and applicable for nurses as well as for doctors (i.e. in combination with the serious game AbcdeSIM). The e-learning is available in Dutch but can be translated upon request. 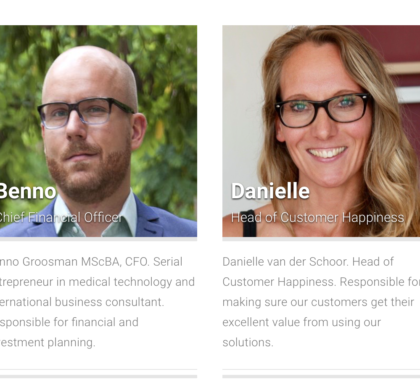 We proudly introduce to you our new team members: Benno Groosman, our new CFO and Danielle van der Schoor, our new Head Customer Happiness. Welcome on board! Team VirtualMedSchool is now operating from a new location: Spaces Rotterdam, a great spot in the center of Rotterdam, the Netherlands. We serve great coffee!